(Not a recent read; we’re going back 5 years, and as you can see, reading her letters kept me busy for some months – but it was worth it). VOLUME I – THE FURNACE AND THE CUP – Freya Stark, Letters; Edited by Lucy Moorhead. Koeberg Library, in an excess of zeal, ordered all four volumes of FS’ letters : if I persevere I might, with effort be finished by Christmas … maybe. The enthusiastic Librarian has gathered in eight books from all parts of Cape Town and even further afield. Trouble is, FS writes so charmingly that I WANT to read them all, and the first volume was 294 pages: phew! FS wrote letters on an almost daily basis to her parents and friends. What will future biographers do in this age of quick e-mail notes? There will be no evidence left for them to trawl through. And FS’s letters are entertaining and diverting, with marvellous descriptions of her travels in Syria, Persia and Palestine. For a woman with very little money she sure got around. LATER (one month later) I’ve now finished Volume 2 of the Letters, and thoroughly enjoyed them. FS writes like a dream when she’s corresponding with her dreadful mother (can’t think why she wrote so often to that old tyrant!) or to her father in Canada – no wonder Mr Stark fled so far away to take up a peaceful occupation like apple growing! Volume 2 covers the 1930s. At one point FS is bewailing the fact she has to get a job and earn her own living! It sounds so strange to the modern ear …. ag shame! But a reminder that prior to WWII few women did work. There are lyrical descriptions of the Yemen – one is almost there with her so vivid (without being Technicolor) are her descriptions. So what a disappointment to read her slender book The Minaret of Djam : travels in Afghanistan by Freya Stark – although the photos were terrific as were the delicate line drawings – but not enough info or credit given to the artist – to whom she sort of attached herself while marooned in Kabul and got a two week trip in their Land Rover to Afghanistan. It’s unclear when this actually happened; the book was published in 1970. But reading her account I suppose it must have taken place in the previous decade. I hated the style of this book, it had great chunks of elevated philosophizing that were written in a high falutin’ classical style – it was awful! I got the feeling she’d cobbled up her trip notes and padded them to produce this short book either to satisfy her publisher or because she was short of money – and she was always short of money! I suppose few people in the 60’s had been to Afghanistan so it was virgin territory travelwise and bookwise. I was interested to read how many roads the Russians had built in Afghanistan at this early stage – I’d always been baffled by their presence in Afghanistan during the Afghan War of the 1990s but now I’ve read the book and seen the map it makes a bit more sense. 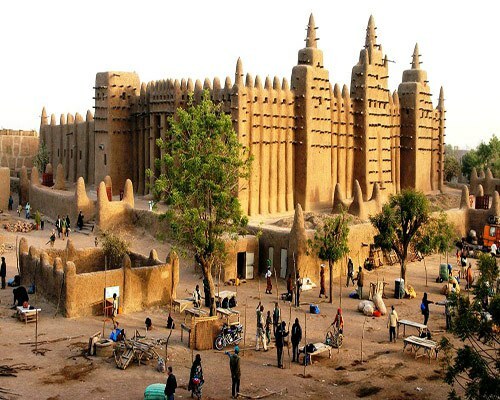 The Minaret of Djam, as per title, a fabulous building, built circa 1190, parked in the wilderness and virtually unknown even to this day . I’ve thoroughly enjoyed this volume as well. My, but she was a prolific letter writer. One wonders if she made carbon copies or whether her recipients carefully kept her letters and returned them afterwards. And she was a mass of contradictions: either she was roughing it in Arabia, flea-bitten, cold and hungry or she was in a posh sanitorium in London or Switzerland, being cosseted. And her illnesses (I’m never too sure what they were: ulcers? colitis? sinusitis?) lasted for years. Along the way she found a lizard, a desert lizard, which she adopted as a pet. Not un-naturally the poor thing died of cold (despite hot water bottles) some months after being wrenched from its nice dry, hot, Arabian desert and taken to England. FS was heartbroken. She writes so beautifully about the landscapes in Aden and the Hadramaut. In this volume she continues friendships with gay men – apparently she never really understood the concept of homosexuality. VOLUME 4 : FREYA STARK LETTERS – 1940 – 1943. Phew – at last I’ve finished. Must to admit reading some of this volume with only half an eye; the other half being fixed on the return date stamped inside the book. I’d say that FS had a “jolly good war. Based in Cairo – what a glittering social centre it was! FS dining constantly with Generals and the aristocracy, or giving little sherry parties for 40 people. Because she was British Civil Service she could buy whiskey at £2 per bottle, which cheered her up no end. Stewart Perowne (her husband) comes across as capricious and petulant: how on earth FS could even contemplate marriage to him is a complete mystery. They married in 1947, and never had children. I can only assume she missed the wartime camaraderie? FS cooed over most of the men in her orbit – I have an idea she could be ferociously charming and flirtatious. I think she got what she wanted with charm offensives. She loved the aeroplane rides she cadged off the RAF (even in a Blenheim bomber!) to the great irritation of her male colleagues. I would have LOVED to be a lady explorer like FS but alas! Nowhere left to explore these days that National Geographic hasn’t been to beforehand. What a woman – what a life – what a story – what a book! I was captivated right through this lively, well-researched book about the eccentric lady explorer. She was a Traveller and a writer – in her heyday in the late 1920s, until just after WWII. A dazzling combo of brains – she learnt Arabic plus dialects, Persian, Italian, French and German; became a cartographer, an ethnographer, and a world authority on the Middle East . She exerted charm, virtually a one-woman international charm offensive. She seems to have accomplished more by charm than anything else, despite her scientific achievements as an explorer. Freya was small but formidable, and still very feminine, with a liking for hats and make-up. Such a contrast to the two Oxfod blue stockings who joined her expedition to the Hadramaut – it was a disaster. Frey Stark flitted, flirted and charmed her way through life and the world. She was terribly well-connected and knew (and cheerfully used) everybody. Her friends needed to be indulgent and long suffering, particularly her life-long publisher Jock Murray of John Murray Publishers. She produced 22 books, mostly travel, with one book of essays, and then eight volumes of letters privately published. Mygoodness, but she wrote letters on an epic scale – in this age of the cellphone/text messages/e-mail one forgets how, in previous years, the letter was a prime means of communication. Freya Stark had a blind spot concerning gay men: she seemed unable to comprehend the basics of male gayness, and kept befriending, falling in love with and even marrying one: she was self-willed to an extraordinary degree. Had she not been so, doubtless her life would have been humdrum. I learnt about the Africa and Middle East campaigns and politics of WWII, about which I knew zero. Prior to this book I could just about recall the names of the famous generals and the great military defeats and victories. And good old Freya Stark was part of it all. I’m adding her to my list of the people I wish I’d met. The other person on my list is Aleister Crowley, at one point labelled by the Press as The Wickedest Man in the World. Thinking it over, how I admire Frey Stark for her grasp of languages (as a child I longed to be a polyglot) her varied travels (I also longed to see distant and exotic places) and I also wanted to become a writer so there’s a strong commonality between us. The more I think of Freya Stark the more charmed and intrigued I become: her strategic withdrawals to bed with illnesses when she couldn’t cope; the longing to be loved and cosseted – haven’t we all been there? and how like her demanding and domineering mother she became, seemingly unconscious of this repeated character trait. She simply ignored what didn’t suit her or accord with her ideas, and sailed blithely on. How marvellous to be so much one’s own person and be admired (although not universally) for it. She had her critics and detractors, periods of poverty and depression: but – what a woman, what a life !